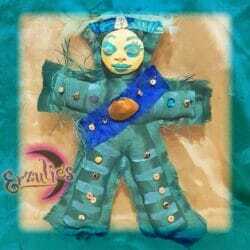 New Orleans Voodoo Dolls ~ LaSiren, the divine water spirit and often correlated to the water version of Erzulie-Freda. Mambo LaSiren, the wife of Agwe, is a very powerful Lwa who lives in the sea. 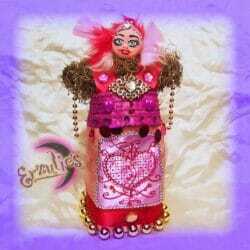 She can bring much healing and balancing to your life along with success, luck and wealth. 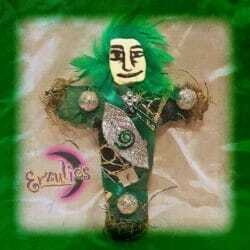 LaSiren and is very calming, cooling, cleansing and healing to those who seek her assistance. 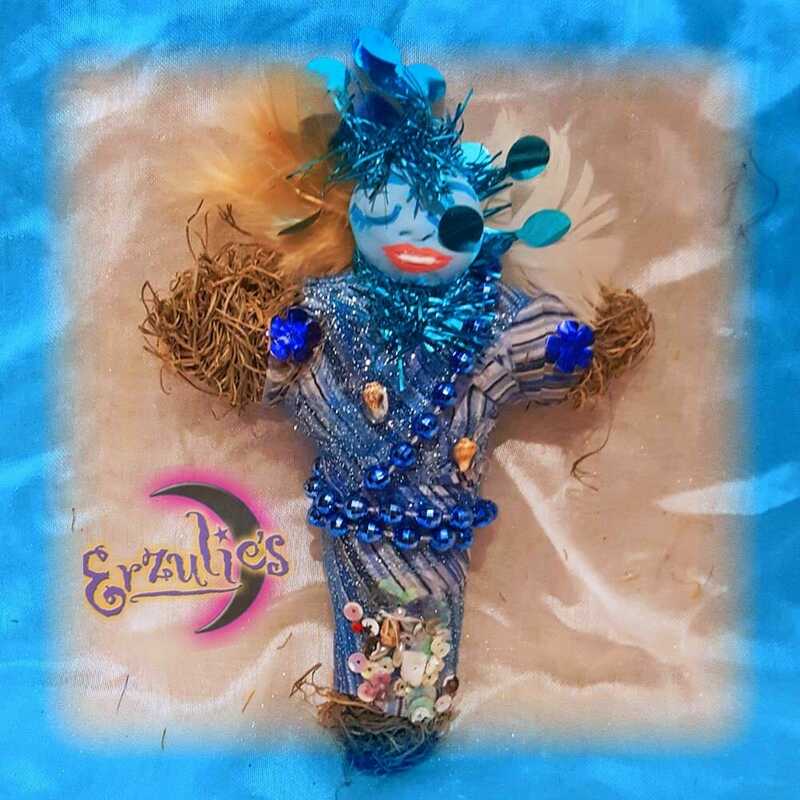 She too, is very beautiful and loves very decadent and exquisite items, particularly anything beautiful from the ocean or that represents water! 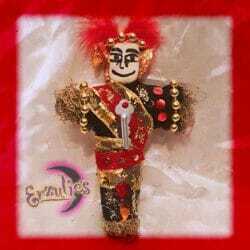 These magical New Orleans Voodoo Dolls are dressed in hand-stitched fabrics and handcrafted with a gorgeous, hand-sculpted face, Spanish Moss, semi-precious stones, fetishes, charms, feathers and decorated with magical items.